T.B. 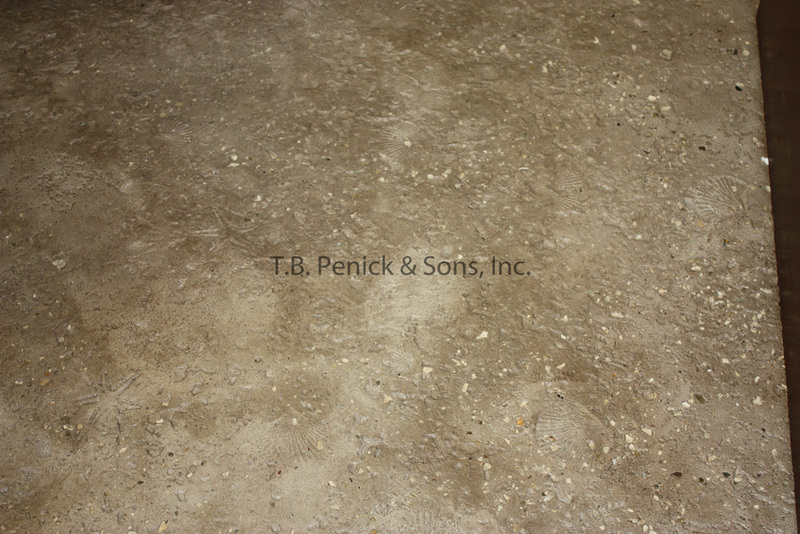 Penick was very happy to expand the decorative concrete division to the Bay Area. The design of this office was created by our in house artist Amanda Conahan. 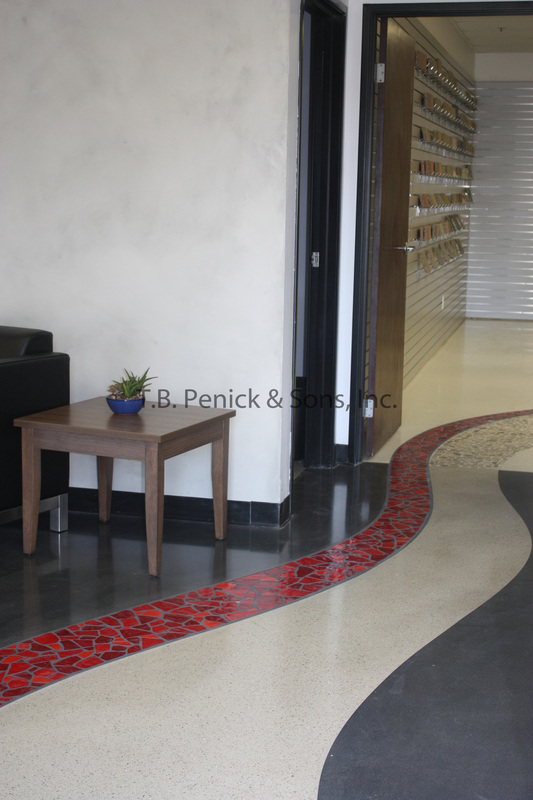 Her design intent for this new office was to be able to create a true showroom, by exhibiting a diverse mix of Penick’s decorative hardscape systems. She wanted clients to be able to experience a variety of hardscape applications, and imagine the endless possibilities that TB Penick can create for their projects. The most striking and dynamic area of the office is the lobby. This is the first space you experience, so we wanted it to make an impact. Ribbons of terrazzo, True and LithoMosaic flow through the space leading your eyes and your feet to the different parts of the office. 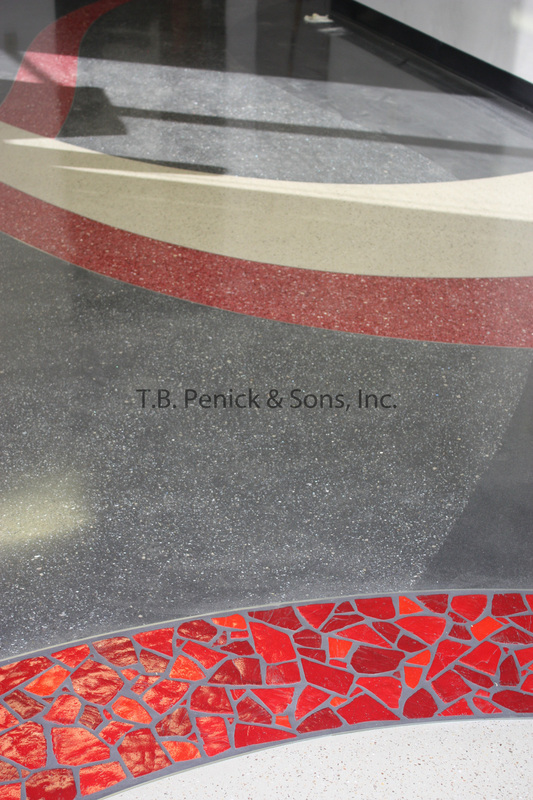 One ribbon leads your focus to the pandomo wall with a steel TB Penick sign and logo. The other 2 ribbons lead you to the smaller offices where the Penick team works every day. The brightest and most unique ribbon in the lobby is the red mosaic river. This energetic mosaic path takes you straight to the conference room where the design, collaboration, and construction planning magic happens. The conference room has a dramatic change of experience from the lobby. The energy of the mosaic river tapers off and transitions to a softer terrazzo pebble river that meanders through a balanced hue of white terrazzo with mixed aggregate. In the middle of the conference room is a sleek sedimentary wall with a glass top. The tone of this room is much simpler, a bit calmer, and lighter feeling so that it can serve as the backdrop for creative design, planning, and big ideas. 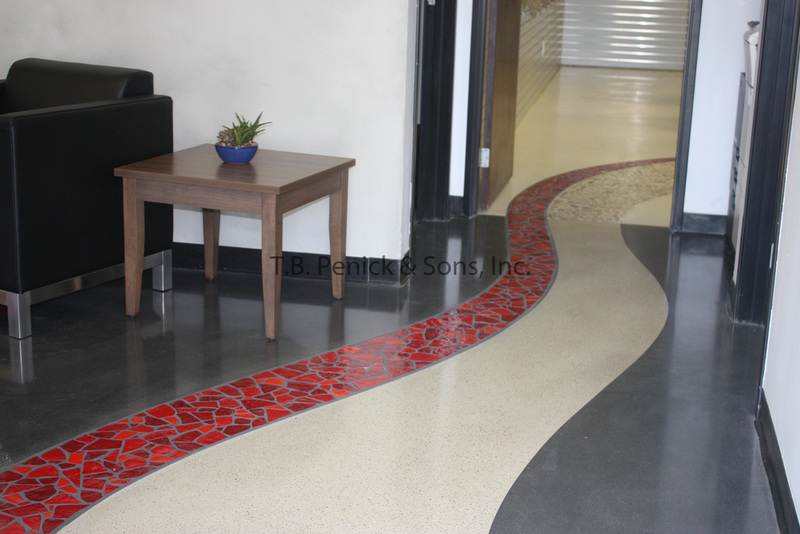 As you head back into the lobby, the Terrazzo ribbons leads you to the two employee offices, which have two very unique floor finishes. The first office is a laid back, California coastal feel, with a coquina stamped floor and soft seeded shell. The other office couldn't be more different with a clean and modern concrete stain, with matching clean and modern saw cuts.